SMART Medical Systems Ltd., a developer and manufacturer of innovative endoscopy products, and PENTAX Medical, an industry leader in endoscopic imaging, announced a strategic pan-European alliance, under which PENTAX Medical will commercialize SMART’s novel G-EYE™ endoscope in Europe, the Middle-East and Africa (EMEA). The G-EYE™ endoscope is a high quality HD+ PENTAX Medical colonoscope onto which SMART’s G-EYE™ balloon is permanently integrated. The Controlled Withdrawal™ of the G-EYE™ endoscope with the balloon moderately inflated centralizes the image in the colon lumen and flattens colon folds, thereby providing enhanced visualization of the colon and enabling an increase in polyp detection. “Our alliance with PENTAX Medical provides us with a great opportunity to serve the European medical community, enabling better treatment for patients and enhancing physicians’ capabilities during the colonoscopy procedure,” said Gadi Terliuc, SMART’s CEO. 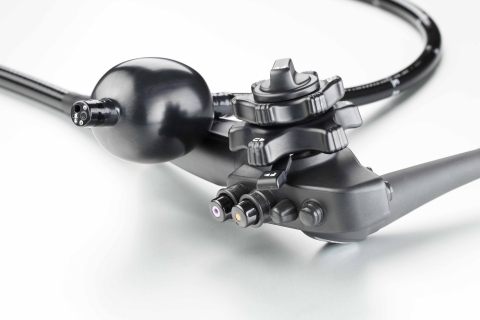 “The G-EYE™ colonoscope provides optimal visualization and exceptional detection capabilities. Clinical studies show additional adenoma detection yield of over 80%, almost doubled in comparison to standard colonoscopy.